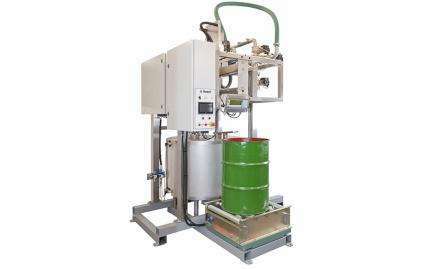 Designed to enable accurate and hygienic decanting of drums or other large containers ready for processing or packaging. A semi-automatic flowmeter boom filler ideal for those that require fast product changeover, and want to minimise the use of cleaning fluids. 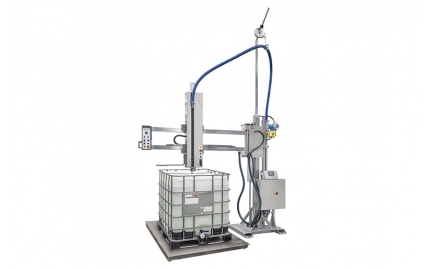 A semi-automatic weigh scale boom filling machine, ideal for those that require fast product changeover, and want to minimise the use of cleaning fluids.